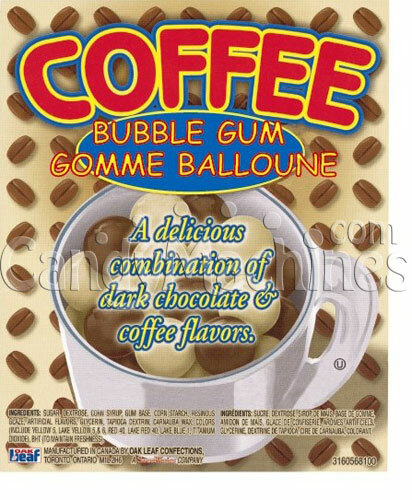 These choice coffee flavored bubble gum balls are 15/16" diameter and can vend in any gumball machine with a 1" round vending wheel. They have been flavored deep down to the very core to make the taste extra long lasting. You are sure to have a gratifying experience. 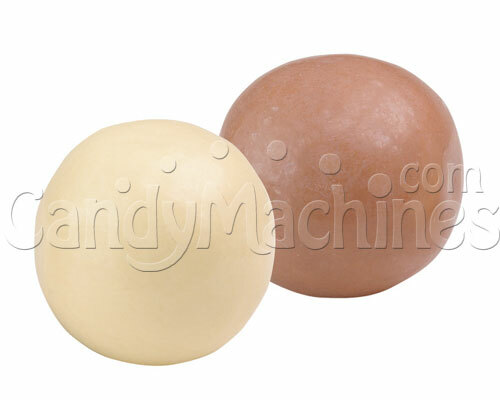 These gumballs are espresso mocha flavored and come in the pleasing colors of cream and brown. Sure to taste so authentic, you may feel like you just walked out of the coffee shop! 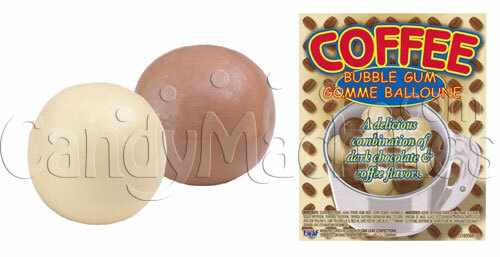 Need a machine to vend these coffee gumballs? Be sure to see our full line of gumball vending machines. Made by Oak Leaf, these bulk vending gumballs are OU Kosher Certified. One inch gumballs typically vend for 25 cents in commercial vending machines that have a 1" gumball dispensing wheel /toy capsule wheel. Gumballs store best in a cool, dry, low humidity location. Their shelf life can be up to 18 months if not exposed to extreme hot or cold temperatures.